A thief who targeted bikes outside a university building in Brighton was snared by police when he rode off on a 'bait' bike fitted with a tracking device, Sussex Police said. Aidan Stoner, 25, unemployed, of Lewes Road, Brighton, appeared at Brighton Magistrates' Court on Thursday, April 4, where he pleaded guilty to theft, police said. The bike was placed by officers as part of Operation Ensnare, which is tackling cycle theft in the city – particularly around the universities. On February 11, 2018, the tracking device was activated just after 5.30pm outside the Cockroft Building in Pelham Street. It was traced to an address in Gloucester Street. 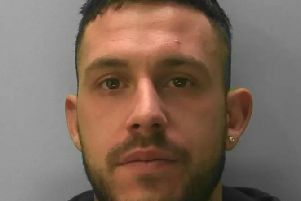 Sussex Police said Stoner was arrested on March 8, 2018. He pleaded guilty and he received a 12 month conditional discharge and was ordered to pay costs of £105 and a victim surcharge of £20, police said. Operation Ensnare is an was launched in September 2017 and in its first three months, reports of pedal cycle thefts dropped by 48 per cent across the city. In east Brighton, thefts were down by nearly three quarters over the same period.